Have you ever heard a word or phrase so much that it loses its meaning altogether? As marketers, we’re often guilty of overusing buzzwords so much that our brains sort of shut down when we hear them — kind of like that Ed Sheeran song you loved before you heard it a million times on the radio. Likewise, it seems as though “content marketing” is used so frequently that it has become one of these buzzwords, too. Whether you’re new to marketing or looking for a refresher course, this curated list of definitions will help you gain a better understand what content marketing is, what it isn’t, and why it should be a key part of your ongoing B2B or B2C marketing strategy. They go on to say that the three main benefits of investing in a content-centered approach as opposed to other types of marketing is boosting brand awareness, increasing brand preference, and having a greater reach at a lower cost (higher ROI). So what’s the purpose of content marketing? In addition to being consistent, content marketing should also have relevance to your target audience. Perhaps to better understand what content marketing entails, one must have a clear idea of what is meant by the term “content.” When marketers use this term, we aren’t just talking about blogs, white papers, and press releases. Content refers to anything that communicates a message to your audience, even non-traditional forms like infographics, videos, and memes. Learn more about what we mean by content. Many experts separate media into three distinct categories: paid, owned, and earned. All should be part of a business’s content marketing strategy. 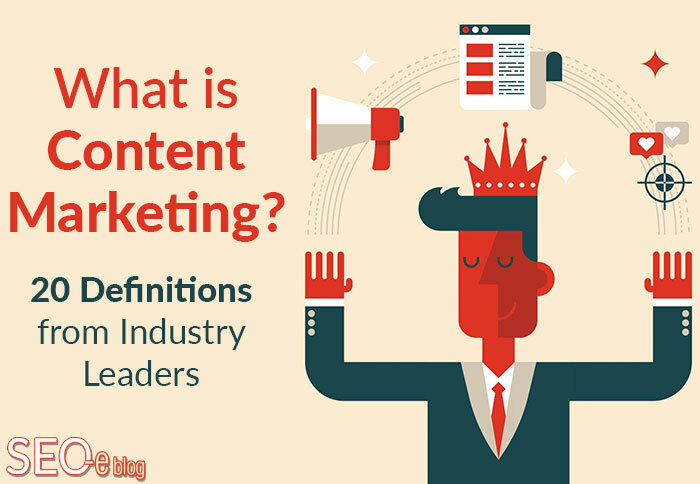 As you may have already gathered, most of the various definitions and opinions about the definition of content marketing are very similar. It seems the industry is more or less on the same page in regards to what content marketing is and is not. However, content marketing must constantly be redefined to keep pace with modern trends and search engine updates. For instance, voice search and machine learning wasn’t on most content marketers’ radar five or ten years ago, yet these factors are now an integral part of many future marketing strategies. As technology changes rapidly, so too must content marketers. And in that regard, the very definition of content marketing must inevitably evolve as well. Getting multiple viewpoints from industry experts who are diving into content marketing on a daily basis is helpful in providing you with a more clear and accurate picture of the path ahead. 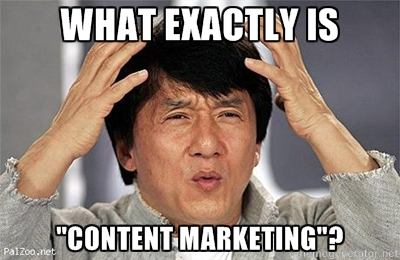 How do you define “content marketing”? Share your answer below or via Facebook.